Nowadays, there are more ways than ever to consume CBD. Some patients opt for the convenience of CBD Oils, while others indulge themselves with CBD Edibles. Another interesting way to use CBD is with CBD Flower. This is great for users who enjoy the feeling of smoking or vaping but don’t want the psychoactive side effects of THC. Of course, strains of cannabis contain both THC and CBD. Some cannabis strains even come with higher levels of CBD than THC. These usually give you a milder high that’s much better for medical use. However, you can also smoke pure CBD Flower using products like CBD Doobies. These are made with hemp, but give you the same flavor and feel of some of your favorite strains. This way, you can smoke CBD without the effects of THC. CBD Flower offers an enjoyable method of use for those who want to treat themselves with CBD. You can get all of the therapeutic medical effects of CBD while also enjoying the experience of inhaling high-quality herbal products. But what are the advantages of these products, how much should you use, and how do they differ from the alternatives? Here’s a beginner’s guide to CBD Flower to help out. CBD Flower refers to smokable/vapable herbal products that contain a high level of THC. It’s sometimes used to refer to high-CBD flower strains or strains of marijuana that contain a lot of CBD making them prime for medical use. High-CBD strains allow users to enjoy the medical relief brought on by cannabis without getting too overwhelmingly high. However, you can also get pure CBD Flower in the form of herbal products made purely with CBD. 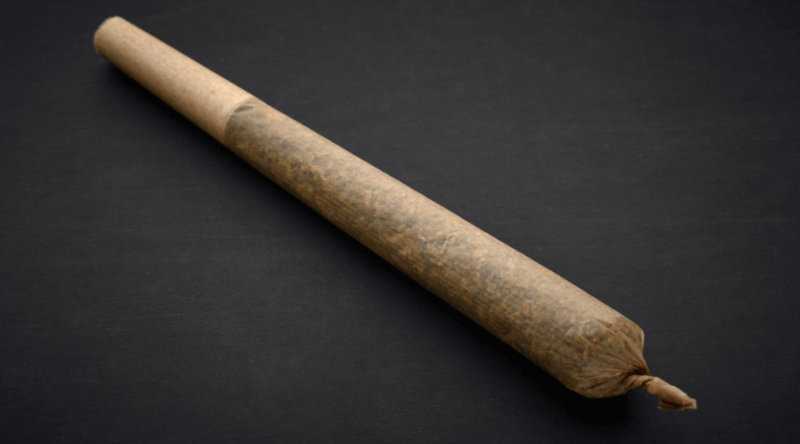 For instance, CBD Doobies offer rolled up hemp herbs that are especially high in CBD. While these mimic the taste and feel of a joint of cannabis, they offer pure CBD Flower that will give you medical effects without getting you high. CBD Flower offers an interesting alternative to other CBD products. Many users enjoy the feeling and experience of smoking herbs, but may not wish to smoke cannabis due to its side effects. The fact that you can buy hemp CBD flower also makes it easy for users in any state to legally smoke CBD. It’s a unique and enjoyable way to consume CBD without any legal boundaries. What Are The Effects of CBD Flower? Like with other forms of CBD treatments, CBD Flower gives you a wide range of medical effects. It can help with mental and physical relaxation, improve your sleep, reduce stress and anxiety, and even have beneficial effects on your heart and brain. CBD is a helpful therapeutic treatment for pain and inflammation. Research shows that CBD interacts with the body to reduce both acute and chronic pain and reduce inflammation. This is useful for all kinds of conditions, from things like Arthritis and fibromyalgia to pain from injury and general aches and discomfort. It also has helpful effects on your mental wellbeing. CBD is effective in reducing anxiety in various forms, including social anxiety, general anxiety disorder, OCD, and PTSD. Its mentally relaxing effects can also help with general stress. It can also improve your mood and relieve symptoms of depression. CBD also has neurological benefits. Research shows it can help treat various neurological conditions, including Alzheimer’s, MS, Parkinson’s disease, and brain tumors. What’s more, CBD has neuroprotective effects, helping to protect and even improve brain health and function. It’s also particularly effective at reducing seizures. Studies regularly show that CBD helps with the management of various forms of epilepsy. For instance, one study on treating Dravet syndrome with CBD found that CBD significantly reduced the frequency of seizures. CBD can also clear up skin conditions, improve sleep, help with mental alertness, and even ward off cancer. While many users turn to CBD to help treat medical conditions, it can also be useful for general use. It helps prevent the risk of many health problems in addition to helping treat them. While CBD in all forms is beneficial, some users may wonder why they should use CBD Flower over other products. It may seem like an unconventional choice to some- those who wish to smoke may feel better served by simply smoking cannabis. But CBD flower does have its benefits. CBD Flower enables you to smoke your favorite strains without getting high. Hemp-based CBD doobies mimic the flavor of popular strains without any added THC. If you want to get the medical effects of CBD without the intoxicating side effects of THC, CBD flower can help you. It also offers an enjoyable method to consume CBD. Some users may enjoy the experience of smoking, even if they prefer not to smoke cannabis. Smoking CBD flower can be relaxing and give users all the therapeutic benefits of CBD in a familiar form. It also helps you get the effects of CBD fast by inhaling it. While smoking may harm the lungs over time, moderate use won’t cause any health problems. CBD Flower can suit both patients of medical disorders and those who want to use CBD in general. Even if you aren’t suffering from any health problems, consuming CBD can help improve your overall health and prevent many medical issues. It can also help with sleep and relaxation in general. While CBD Flower won’t suit everyone, it provides another useful option to those who want to use CBD. Many marijuana stores and dispensaries offer high-CBD strains of cannabis. If you want CBD flower, it may be harder to find in stores. However, JustCBDStore offers many pure CBD products derived from hemp, making them legal across the US. This includes CBD roll-ups made with pure CBD flower. These CBD Flower doobies come in various flavors, mimicking the tastes of different strains. Here are some of the most popular on offer. Hawaiian Haze Hemp Doobie is ideal for relaxation and pain relief. It has a fruity smell and a tropical taste that makes it extremely enjoyable for anyone to smoke. OG Kush Doobie gives you the dank, earthy taste of one of the most popular strains in pure CBD form. This 100mg CBD doobie can help with pain, insomnia, appetite, and general stress relief. Pineapple Express CBD Doobie is another sweet and tropical CBD flower rollup. Based on the delicious and popular strain, this also gives you the potent medical effects of CBD. Other flavors of CBD Doobies are also available in the online store. Each of these contains 100mg of CBD. These can give you tons of therapeutic benefits and last for around 3 sessions, meaning they’ll last you a long time. They also cost only $11.99 – $15.99, making them a cheap and easy way to get a high-quality dose of CBD. You can use CBD Flower products in the same way as other smokable products. Pre-rolled CBD joints make it easy to simply light up and smoke. Inhale the CBD flower and hold the hit for a moment before exhaling. The effects of CBD will then take effect on your body. Keep in mind that smoking CBD isn’t like smoking cannabis. You won’t instantly get a strong body or head high. However, it does have relaxing effects and will provide relief for things like pain, physical discomfort, stress, and anxiety. How much you should smoke depends on what you’re using it for. Smoking 30mg of a CBD doobie should be enough to give you potent pain relief as well as relieving stress and anxiety. Those with more severe symptoms may want to smoke more. Many of CBD’s medical benefits take effect after using regularly, so you may want to inhale CBD flower once a day. Realistically, you can use as much CBD as you want. There’s no harmful side effects and no risk of addiction or overdose. This makes it incredibly safe to use for anyone. Can You Smoke CBD Flower Without Getting High? You can use herbal CBD products without getting high. While high-CBD cannabis strains will still give you the psychoactive effects of THC, smoking hemp-based CBD flower products won’t. These contain only CBD and, as such, the effects are purely medical. This is useful for those who want a mild and therapeutic way to use CBD. It also suits patients and users who don’t want any intoxicating effects. CBD flower can be used by people of all ages safely as there are no negative side effects. While cannabis is still illegal in many parts of the United States, CBD products are widely legal. Many states fully allow the use of low-THC, high-CBD products. But even in states where cannabis and CBD are still banned, hemp products are legal. The federal government labels hemp as food-based products, making them legal throughout the states. This means that CBD flower products using hemp are fully legal across the United States. You don’t need a medical card or prescription to buy these. There’s also no limit on possession or the age of use. This makes it easy for anyone to buy and use CBD for any purpose. While CBD Flower is useful for many users, there are plenty of other options. These alternatives suit those who want a smokeless method of consumption or want something more convenient. All of these are legal to use and available to buy online. As a close alternative to smoking CBD flower, you can also vape CBD. CBD Vape Cartridges and CBD Vape Oils also come in different flavors and strains. You can inhale these using a vape to get the effects of CBD without any smoke. Much like with smoking CBD flower, effects can come on fast and last for a while. CBD Edibles are another alternative which will suit many consumers. They come in many forms, such as CBD Gummies and CBD Dried Fruit. All you need to do is eat these to get the effects of CBD. However, they do take more time. Edibles need to be digested into your body and converted by your liver to take effect. But while they may take an hour or two to take effect, they offer potent medical benefits for your body and brain. CBD Tinctures or oils offer one of the most popular and hassle-free ways to consume CBD. Each bottle comes with a dropper, which allows you to drop the tincture under your tongue for fast-acting effects. These are convenient to use anywhere, and you can get plenty of use out of one bottle. There are also CBD Topicals. These products are slightly unique as they act by absorbing into the skin and not the bloodstream. As such, you won’t get any of CBD’s benefits to the brain. However, they can offer fast pain relief and allow you to target areas of the body affected by pain and inflammation directly. These come in various forms, such as CBD Pain Cream and CBD Bath Bombs. All of these methods can be useful for getting the effects of CBD. It’s also safe to use multiple different CBD products together, so you don’t have to stick to just one. With the affordability and variety of CBD products, you may want to try out more than one. The ways to use CBD continues to grow, and CBD flower offers another alternative to the norm. Those who enjoy smoking cannabis but want to avoid the potent effects of THC can benefit greatly from CBD flower. It can bring on effects such as pain and stress relief fast. Using CBD regularly can also help with improving your overall health and reducing the risk of illness. You can use CBD flower legally across the states. You can also use CBD flower without getting high. This makes it easy to access and safe to use for people of all ages, for any purpose. While you may still want to check out alternative methods, CBD flower offers another enjoyable and useful way to get the benefits of cannabidiol. Previous post: Full Spectrum CBD: Is there a difference? Next post: Is CBD Really That Safe?